The Mara is named after the beautiful Roman woman that leads a young seminarian to madness in the third episode of the movie “Ieri, oggi e domani”. Mara is played by Sophia Loren, who became famous for her striptease in front of Marcello Mastroianni. Mara is placed at the prestige end of the home espresso machine. It combines the best technology ever - the legendary E61 grouphead - and an incredibly compact, full stainless steel body. The result: a marvellous, appealing object enabling to apply baristas' golden rules and extract the most sensual espressos and cappuccinos you can dream of. Mara’s grouphead first appeared in 1961 on Italian FAEMA’s innovative E61 machine. Since then it became instantly recognizable by those in the “know” as the E61 grouphead. The reasons of this popularity are linked primarily to the aesthetic appeal produced by this object of Italian design. 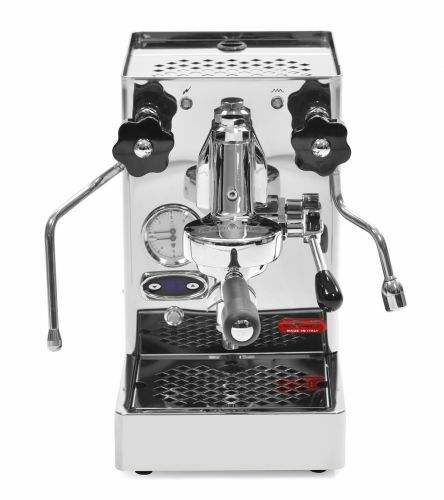 Just as important, the technological innovations introduced together with this grouphead noticeably improved espresso quality and even espresso machine industry as a whole. The built in PID temperature controller ensures stable brew water temperature which is vital for great tasting espresso. 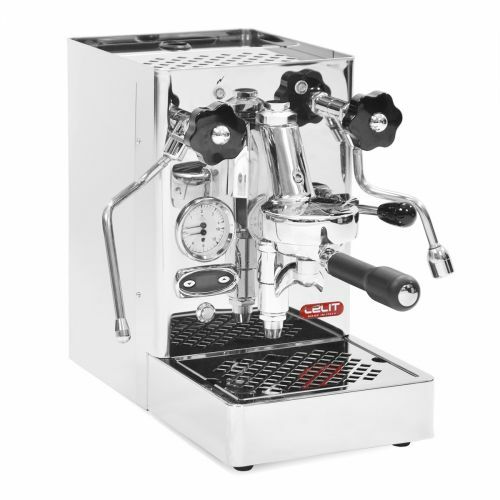 It also ensures the brew water is at the right temperature to make great espresso and gives the ability to change the brew water temperature depending on the type of coffee beans used. Mara features a heat exchanger, a technology that allows to make espresso and steam milk simultaneously and, as a consequence, to make several milk coffees in quick succession. In a heat exchanger the water in the boiler is kept near the boiling point so as to produce steam on demand. This makes all the difference when trying to achieve silky, creamy milk for bar quality flat whites, lattes and cappuccinos. A perfect extraction derives from a balance between tamping strength, brew water temperature, grinding settings and blend quality (both in terms of freshness and type). The brew pressure gauge built into LELIT machines shows whether the brew pressure is optimal. Too little pressure indicates an under extraction (insipid flavour), too much pressure indicates an over extraction (bitter, sour flavour). Enjoy yourself adjusting the 4M (Italian: Macchina, Macinatura, Miscela, Mano - Machine, Grinding, Blend and Tamping) as a real barista! If coffee flavour is your primary concern, your machine must be paired with a quality burr grinder. Here is something you need to understand about coffee: ground coffee is stale within minutes. With an espresso machine and no grinder, you would be forced to use pre-ground coffee, which is unavoidably stale. You can't make great espresso at home - or anywhere - without a quality burr coffee grinder. Polished water tray in stainless steel. Double manometer for coffee/steam pressure. Polished old style knobs in phenolic resin with chromed, anti-burn cover. PID boiler controller for coffee. Mirror polished stainless steel appliance body.